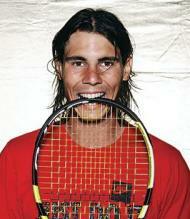 The "King of Clay", Rafael Nadal, stands a formidable 6'1" and carries about 191 lbs in his muscular frame. 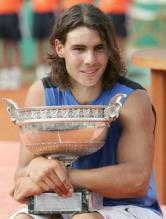 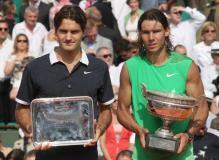 He has won the last 3 French Open as of early 2008. 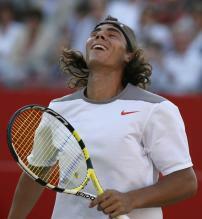 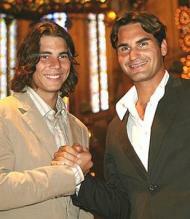 Rafael Nadal's girlfriend's name is Rafael Nadal's Girlfriend Maria Francisca "Xisca" Perello. 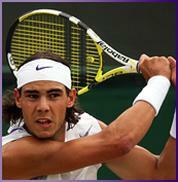 Here you will find Rafael Nadal photos and pics- please feel free to leave a comment and rating!